You must have heard of this famous old fashioned ensaymada called Eurobake. It's also better known as "inipit". 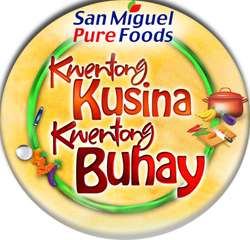 Made of honest-to-goodness cake chiffon with custard filling, Malolos, Bulacan's original "inipit" had become a household word for everyone. A popular snack and pasalubong for most Filipinos here and abroad, Inipit is perfect for an afternoon merienda or baon. 1. In a sauce pan, combine gulaman powder and water. Simmer over low heat. 2. Add San Mig coffee super packs and dissolve in liquid. 3. Pour mixture into a plastic container and chill to set. When set, cut chilled coffee jelly into ½ inch cubes. 4. Just before serving, alternately arrange coffee jelly in a clear glass container with Inipit, nut brittle and all purpose cream. 5. 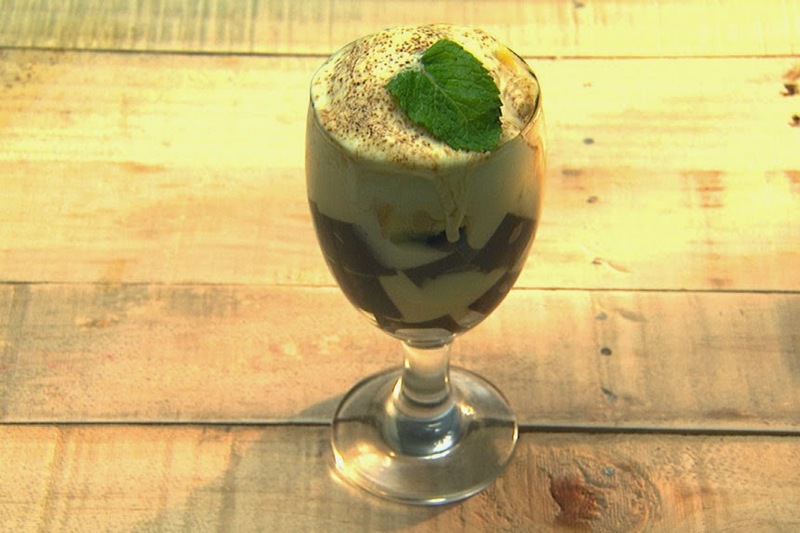 Top with Magnolia ice cream, dust with coffee powder and garnish with mint leaves.